We're pleased to announce that UKWCT hoodies are available once again! Our former supplier, Nordikota, has offered to sell them via their website. 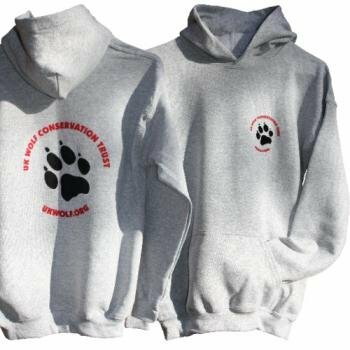 The Trust will receive a proportion of the profits of any that are sold - so by buying one, you can help support the wolves! For more information, visit Nordikota's site. For all sales and order queries, please contact Nordikota directly.